-- itâ€™s about pioneering a new way for artists to connect with audiences from around the world in ways theyâ€™ve never had before. Yeah, Usher, who not only earned himself a record contract with Sean Combs (Brother Love, formerly, P.Diddy/Puff Daddy/Diddy. Did we get them all? ðŸ˜œ) when he was just 14-years-old, but who helped guide Justin Bieber to the success that he is today. Usher believes in Megastar. â­� Heâ€™s recorded a manifesto for you that dives beneath the surface of his dedication. Itâ€™s his stake in the ground, a powerful and passionate statement of the reasons he believes Megastar could be your vehicle to success. He wants you to watch it. We want you to watch it. Join us in this amazing journey to propel performers as they travel the road from belief in themselves to incredible expression to becoming a Megastar. But you donâ€™t need to be a performer to participate; this Megastar app, this grand competition is built for fans. Because itâ€™s fans like you who will drive performers to success, fans like you who will propel performersâ€” by watching, voting, tipping, commenting, sharing, and promoting â€” to win big cash prizes. And elevate one extraordinary performer to the ultimate prize, to become our first global Megastar. To win $1,000,000. MEGASTAR is the worldâ€™s first mobile talent competition, where contestants from multiple categories (Music, Dance, Sports, Extreme, Comedy, Magic, & Variety) will compete from around the globe for $1 million dollars (USD). 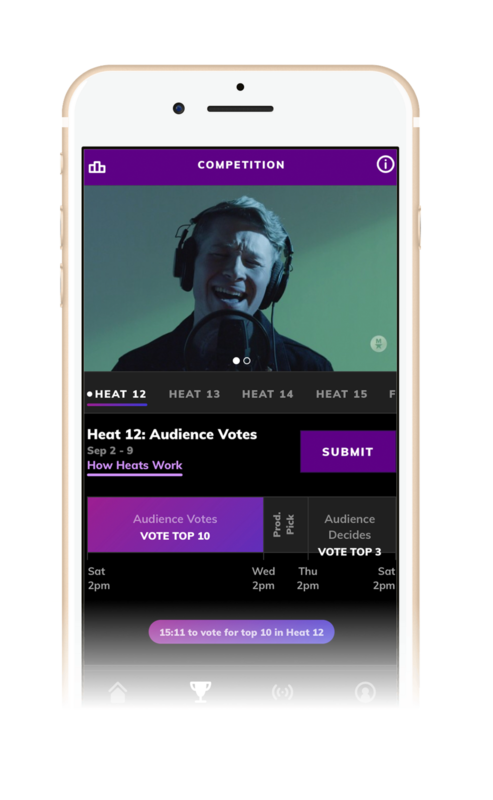 Unlike TV competitions like The Voice, American Idol and Americaâ€™s Got Talent, Megastar winners are chosen by you, the fans (with support from celebrity judges like Usher), as you vote for your favorite Performers in the Megastar App.